Waiting but not sure I'll be able to be here today. I'm definitely going to try to be home at 9 pm tonight for this show. This new show is one of my favorites. so whos gonna do tl for this set (if anyone even knows the 1st track)? hello everybody who's tuned in! 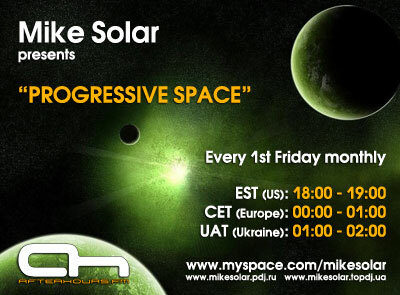 Tonight we've got a lot of relaxing progressive house tunes for the 5th episode of P.S. well i will admit that i do like chilled out music, but not in the mood 4 it rite now (no offense). How hot is it? Try 116°F/46.6°C. Nice and toasty. is it possible to go out at all? Sure. From my air conditioned house to my AC'd car, to the AC'd stores. Or from my AC'd house to my pool. That's how it's done in Texas. Ha!